I would like to watch X-Men: Days of Future Past Which acts as a sequel to both 2006’s X-Men: The Last Stand and 2011’s X-Men: First Class and is inspired by the 1981 Uncanny X-Men storyline “Days of Future Past” produced by Chris Claremont and John Byrne. The film was directed by Bryan Singer and stars Hugh Jackman, James McAvoy, Michael Fassbender, Jennifer Lawrence, Halle Berry, Anna Paquin, Ellen Page, Peter Dinklage, Ian McKellen, and Patrick Stewart. X-Men:Days of Future Past is an Exciting time-travelling adventure in which robots known as Sentinels are sent to exterminate all mutants, as well as humans who seek to help them. A band of mutants evades the Sentinels with the help of Kitty Pryde (Shadowcat) and hide alongside Storm, Wolverine, Professor Xavier, and Magneto at a monastery in China where the X-Men make a stand as a large army of Sentinels attack the monastery. So Mystique is sent back in time to 1973 to assassinate Bolivar Trask, the inventor of the Sentinels and prevent them from being created, however she is captured and her powers are used to make the Sentinels almost invincible. Wolverine meanwhile, also finds himself in1973. At the X-Mansion, where he encounters Xavier and Beast and discovers that Xavier’s Institute for Gifted Youngsters has closed after most of the teachers and students were drafted for the Vietnam War. So Wolverine, Beast, Xavier and Peter Maximoff, (Quicksilver) then attempt to free Magneto, Who is being held in a prison Cell beneath the Pentagon for allegedly assassinating President John F. Kennedy. 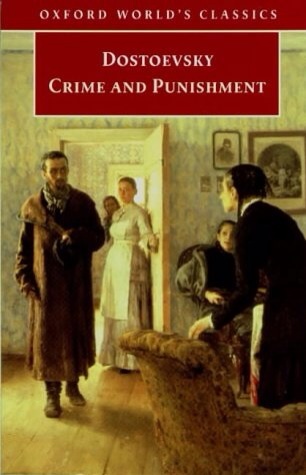 Sadly though Dostoyevsky passed away on 9th February 1881, however His books remain popular and have been translated into more than 170 languages and sold around 15 million copies and have also been adapted for Film and Television numerous times. He has also influenced a vast range of writers, from Anton Chekhov and James Joyce to Ernest Hemingway, Jean-Paul Sartre and Ayn Rand, to name but a few. November 11th is Armistice Day, held in remembrance of the sacrifices made by the brave men and women who fought during World War I and II, to protect the freedoms which today, we take for granted. Church Services are also held on Remembrance Sunday in order to remember the sacrifices made by the brave men and women who fought and died during World War I and II. In order To commemorate Armistice day and Remembrance Sunday, .It is only when you visit the cemeteries and battlefields that it possible to comprehend the sheer scale of the loss of life and to understand the futility & horrors of war. It’s also a really sobering experience to see haunting images of the landscape, which even today still bears witness to the tragic events which happened during World War I and II.